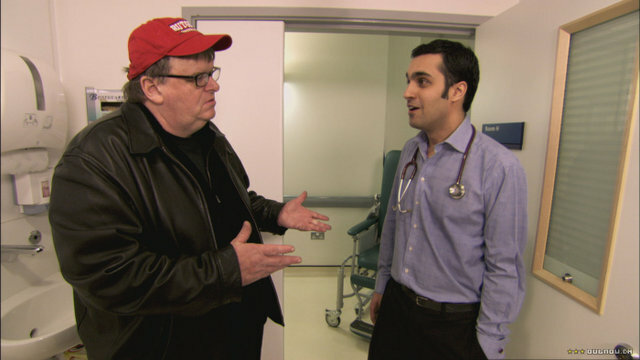 If Amir Muhammad is the funniest Muslim filmmaker in the world, Michael Moore may well be one of the funniest…full stop. Of course, this was not an impression that was made due to ‘Sicko’; rather, his latest film merely reinforces that which is already there in my mind. What, however, is indeed there? On the outside, at least, Moore appears to be the most typical of American stereotypes: a living, breathing redneck, bumbling across borders with the ever-present cap magically nestled on top of his nest of hair no matter which way he turns his head. 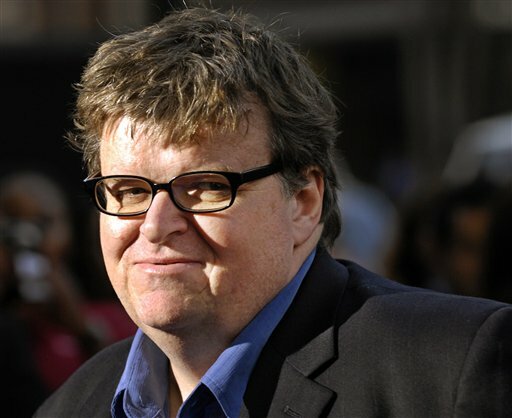 His obvious body mass index also makes him a most ironic of candidates to be making a film related to healthcare. But that’s on the outside, where the superficial can never tell the whole truth. 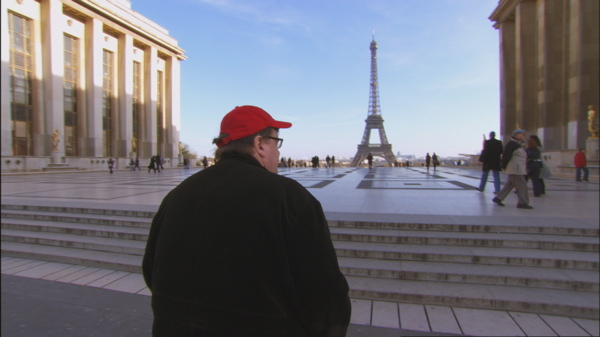 Having said that, neither can the inside, but nevertheless, despite all that I have written above, there is one thing that I will stick my neck out for: Michael Moore may well be one of our generation’s most gifted filmmakers. For some of you, that may not come as a surprise. After all, he is an Oscar winner, lest we forget. “But,” others might think, “are you talking about the likes of Peter Jackson as well?” My proclamation is exactly that: that he deserves to be considered amongst such greats as well. Granted, he has yet to make a foray into the fantasy genre (he may never do). However, his manipulation of reality into an engaging, brutal, and at times downright hilarious documentary (and I mean manipulation in a generally good way) is a barrier that many of his peers do not (voluntarily) cross. By this, I mean that as a documentarian, one is limited only by the reality that is presented to us. You can, if you so wish, manipulate that reality this way and that, before presenting it to others, but it’s not exactly starting with a white piece of paper, where the only barriers are the ones inside your own mind, and a seemingly-limitless budget to achieve that. Not unlike his previous documentaries, where he took aim against GM, President Bush and the late Charles Heston, ‘Sicko’ places the health maintenance organisations (insurance companies, to you and me) in his line of sight. It puts up the private American healthcare system against those of the Canadian, UK, France and even Cuba (you’d be surprised how well Cuba holds up). The statistics Moore reveals are shocking, to say the least, with fifty million Americans without medical coverage. However, as Moore says, the movie is not for those without it, but for those with it. Drawing upon the personal anecdotes from numerous Americans, Moore demonstrates how such insurance companies operates, looking for almost any excuse to cheat those who thought that they were covered. Some of the cases include an elderly couple who had to sell up their home to pay for the extortionate medical fees, and moved in with their younger daughter. In another, a man had to choose which of the tips of his fingers he would have to save (inevitably, he chose the cheaper option). He even interviews those who worked in the insurance companies. There are a fair number of people who were ashamed of their previous antics, as it turned out, trying to cheat people out of their insurance. However, this is one of the areas on which ‘Sicko’ is more than a little week; with the exception of a smattering of possibly bitter ex-employees, the insurance companies were not given their chance of a defence. Not that they can give much of one, if what the many, many personal accounts given were true. Nevertheless, even the attempt to engage the enemy in a documentary, in my opinion, can prove to strengthen the position of the preacher. It’s not that he doesn’t know how to. 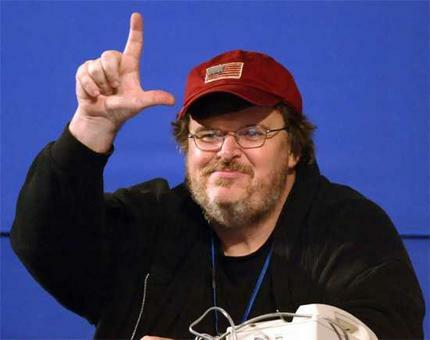 We can see this in ‘Bowling for Columbine’, when Moore goes after the head gun honcho, Heston. For all the criticism that he received for that scene, the fact that Heston couldn’t answer back to some of Moore’s retorts merely reinforces certain points the documentary was making. Thus, this movie suffers from that one-platform approach. Of course, both are different movies dealing with different issues, but I feel that just the attempt would have made it even more credible. Moore’s duels with media organisations such as CNN about this movie held up well, so it’s a pity that such duels wasn’t as present in the documentary itself. The same holds true for Moore’s approach to the other nations. In Canada, for example, he interviewed some family members as well as other members of the public regarding the public health care system. Perhaps it is a little unfair to compare one of the world’s most famous healthcare systems against one that is only slightly ahead of Slovenia (try to point that out on the map 🙂 ). However, what is more unfair is the one-sided portrayal of the healthcare system. Reading up on the issue afterwards, as it turns out, the Canadian system suffers from the same cons as the pros that many other countries offering universal healthcare suffers. I would level the same criticism to Moore’s portrayal of the healthcare systems in the United Kingdom and France; England, in particular, from experience, is not as efficient as is portrayed in the documentary. Having said that, Moore did interview a wide range of people, from an American living in London, a Labour politician, and a practitioner (in addition to the numerous vox pops). The same goes for his French sojourn, where he interviews American and French patients and doctors alike, offering a more rounded view. Most controversially, Moore also compares America to Cuba, where the medical difference between the two nations are absolutely shocking. A medicine that costs over $100 in the United States costs less than what I paid for the sushi I had earlier that night. To think that that amount could have saved someone’s life is a sobering thought, somewhat. He also delves, with much amusement, into the history of why America do not adopt the universal health care system in the first place. I say amusement, because Hillary Clinton looked insanely young! On a more serious note, the universal healthcare system, as it turns out, was much associated with the communist way of life. Much less funny was the candid recorded conversations with former president Nixon, who effectively ensured its death during his tenure. Beyond the humour, beyond the barbs, what Sicko is is not a perfect medicine. Despite my eulogising of him, I could myself think of the many ways that Sicko could have been better. However, it should also be considered that it is not his intent to provide a balanced view; rather, he aims to wake us up, with particular preference for the Americans who are in the system. Like I said, it is his manipulation of reality before its presentation that is a skill to be admired. I know that ‘Sicko’ is not a perfect mirror. Nevertheless, he manages to tug something at my heart string with that mirror. As such, it remains an effective effective one that could spark people into action. I know that if I was an American, and captured terrorists are getting better medical help in Guantanamo Bay than 9/11 volunteers in New York, I’d be more than slightly pissed. 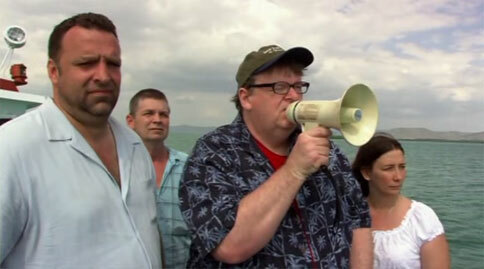 And that, that, is why Michael Moore is the filmmaker he is. Fikri is now having second thoughts about his own health insurance. If you distrust the government you proabably don’t want them involved in your daily affairs. If you like the Gov. then you proabably don’t mind them regulating everything you do and wasting all the taxes you pay. Wake up America! Less Gov. is a Better Gov. i almost menangis when the lady found out her meds way cheaper in cuba compared to the states. moore is funny. it might not portrayed everything but i agree it is effective.